It’s no secret that middle-aged women are far more likely than men to have chronic pain and to feel its effects more severely. A large new study tells us some of the reasons why. VA researchers analyzed the health data of over 200,000 female veterans between the ages of 45 and 64 and found that women with menopause symptoms were nearly twice as likely to have chronic pain and multiple chronic pain diagnoses. "Changing levels of hormones around menopause have complex interactions with pain modulation and pain sensitivity, which may be associated with vulnerability to either the development or exacerbation of pain conditions," says JoAnn Pinkerton, MD, Executive Director of the North American Menopause Society (NAMS). "This study suggests that menopause symptom burden may also be related to chronic pain experience." Hormonal change alone wasn’t the only thing many of the women had in common. Those who were overweight, obese or had a mental health diagnosis were also more likely to have chronic pain. Eighteen percent of the female veterans had been diagnosed with post-traumatic stress disorder (PTSD), 13 percent suffered from depression and 15 percent had anxiety. Common changes related to menopause and aging include weight gain, decreased physical activity, impaired sleep and negative mood, which can contribute to chronic pain and are also known to affect pain sensitivity and tolerance. The study findings are published in the journal Menopause. A large 2018 study also found a strong association between menopause and symptoms of rheumatoid arthritis (RA). Researchers at the University of Nebraska Medical Center found that post-menopausal women with RA had a significant increase in functional physical decline. Menopause was also associated with worsening progression of the disease. As a social media platform, Pinterest is best known as a place to share recipes or get tips about fashion and home decorating — topics that appeal to its core audience of women. But over the years Pinterest has quietly evolved into a surprisingly good place to learn about chronic pain and to network with others in the pain community, according to researchers at Virginia Commonwealth University. Their study, “Pinning to Cope: Using Pinterest for Chronic Pain Management,” was recently published in the journal Health Education & Behavior. “We’re seeing that Pinterest is being used by patients to really support each other, to provide information for each other, and to just find an outlet for dealing with chronic pain,” said Jeanine Guidry, PhD, who studies social media and mobile technology. Guidry and co-author Eric Benotsch, PhD, a psychology professor at VCU, analyzed 502 posts on Pinterest about chronic pain and found – not surprisingly -- that nearly all referred in some way to the severity of pain. But rather than just complaining about their pain, many of the posters shared or “pinned” positive tips on self-care and pain management, along with tips for caregivers and friends. About 18% of the posts used humor as a coping mechanism. Relatively few of the posts originated with healthcare or public health organizations, and researchers said there was “cause for concern” about the lack of information from reputable health sources. A key finding was that posts about chronic pain on Pinterest have a higher level of user engagement than most other healthcare topics. “Knowing that this conversation about chronic pain is taking place on Pinterest, health communication professionals should consider using Pinterest [more] because they can really reach out to the people who are trying to manage chronic pain,” Guidry said. Pinterest has about 250 million active users and 80 percent of them are women. Guidry says the social media platform could be leveraged more to communicate with pain sufferers. “Is it the biggest platform for these kind of topics? No, but it’s obvious it’s being used,” she said. “And it’s an outlet we should use as health communicators. Guidry said the study’s findings are encouraging because they suggest that people with chronic pain are posting about healthy coping mechanisms and other people are engaging with them. “Chronic pain posts have a strong presence on Pinterest, and health care professionals should both consider utilizing the platform in order to reach a population they might not otherwise reach, as well as broadening this field of study to determine a clearer picture of the potential uses of this and other social media platforms,” she said. 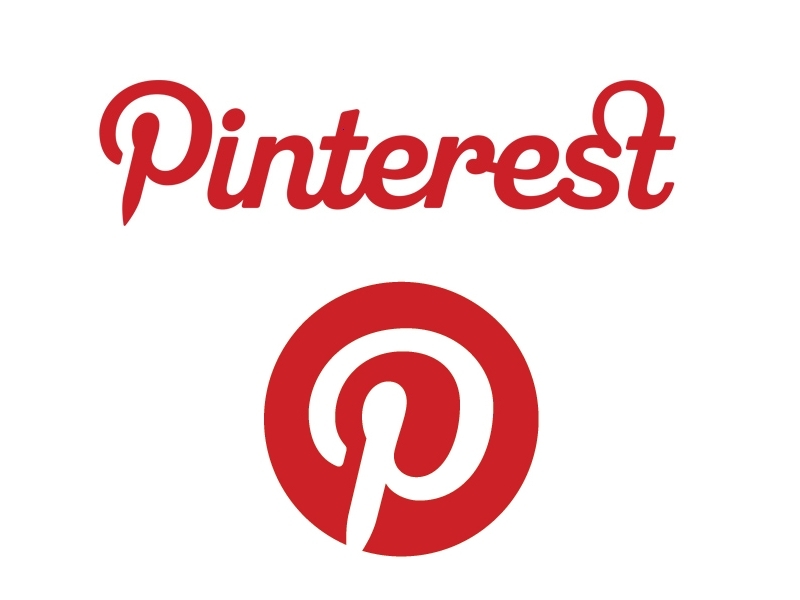 To visit PNN on Pinterest, click here. Is Pain a Self-Fulfilling Prophecy? Getting out of bed, taking a shower, doing the dishes and other simple chores can be painful experiences for someone with intractable chronic pain. But some of that pain may be self-fulfilling: Getting out of bed hurts because you expect it to. That's the theory behind a new brain imaging study published in the journal Nature Human Behaviour, which found that false expectations about pain can persist even when reality demonstrates otherwise. "We discovered that there is a positive feedback loop between expectation and pain," said senior author Tor Wager, PhD, a professor of psychology and neuroscience at the University of Colorado Boulder. "The more pain you expect, the stronger your brain responds to the pain. The stronger your brain responds to the pain, the more you expect." Wager and his colleagues recruited 34 people for a heat test to see if the expectation of pain can cause changes in neural mechanisms of the brain. Participants were taught to associate one symbol with low heat and another with painful heat. Then, the subjects were placed in a functional magnetic resonance imaging (fMRI) machine, which measures blood flow in the brain as a proxy for neural activity. For 60 minutes, subjects were shown the low or high pain cues (the symbols “Low” and “High” or the letters L and W), and then asked to rate how much acute pain they experienced as heat was applied to their forearms or legs. Unbeknownst to the participants, heat intensity was not actually related to the preceding cue. The study found that when subjects expected more heat, brain regions involved in threat and fear were more active as they waited for the heat to be applied. Regions involved in the generation of pain were also more active when they received the stimulus. The result? Participants reported more pain with high-pain cues, regardless of how much heat they actually got. "This suggests that expectations had a rather deep effect, influencing how the brain processes pain," said lead author Marieke Jepma, PhD, a researcher in Wager's lab who is now a researcher at Leiden University in the Netherlands. Many subjects also demonstrated a high degree of confirmation bias -- a tendency to learn from things that reinforced their beliefs, while discounting those that didn’t. If they expected high pain and got it, they might expect even more pain the next time. But if they expected high pain and didn't get it, nothing changed. Researchers say the study was the first to demonstrate the dynamics of a feedback loop between pain expectations and neural mechanisms that cause pain. Although the test only involved short-term acute pain, researchers say the findings may help explain why chronic pain can linger long after damaged tissues have healed. Women who experienced physical or emotional abuse as children have a significantly higher risk of developing lupus as adults, according to new research presented at the annual meeting of the American College of Rheumatology. Systemic lupus erythematosus (SLE) is a chronic autoimmune disease that causes inflammation in multiple organs. Most patients have times when the disease is active, followed by times when the disease is mostly quiet and in remission. Lupus is far more common in women than men. 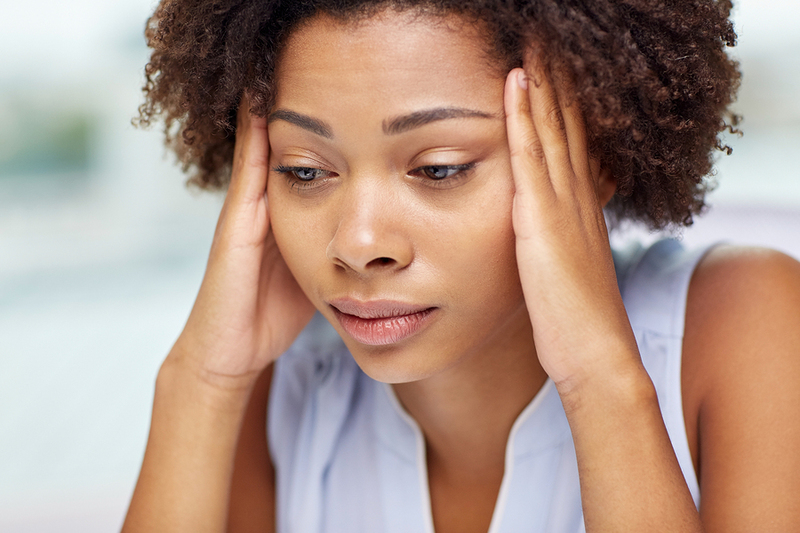 “In prior work, exposure to stress and stress-related disorders, notably post-traumatic stress disorder, has been associated with increased risk of subsequently developing autoimmune diseases, including lupus,” said lead author Candace Feldman, MD, an Assistant Professor at Brigham and Women’s Hospital/Harvard Medical School. To identify what kind of childhood trauma raises the risk of lupus, Feldman and her colleagues looked at health data for over 67,000 women participating in the Nurses’ Health Study II, an ongoing study of female nurses that began in 1989. There were 93 diagnosed cases of lupus among the women. In detailed questionnaires, the women were asked whether and how often as children they experienced physical abuse from a family member, or yelling, screaming or insulting remarks from a family member. The women were also asked to recall incidents of sexual abuse by either adults or older children. Researchers found that physical and emotional abuse were associated with a more than twofold greater risk of developing lupus. But the data did not reveal a statistically significant association between sexual abuse and lupus risk. This is not the first study to find an association between childhood trauma and chronic illness in adults. A recent study of 265 adults in New York City found that those who experienced more adversity or trauma as children were more likely to have mood or sleep problems as adults -- which in turn made them more likely to have physical pain. Another study found that children who witness domestic violence between their parents are significantly more likely to experience migraine headaches as adults. A large survey also found that nearly two-thirds of adults who suffer from migraines experienced emotional abuse as children. “One night, I thought I was dying, and I had accepted that I was going to die. My mom laid with me in bed and held me. I felt like I was drowning,” Lavigne wrote on her website. 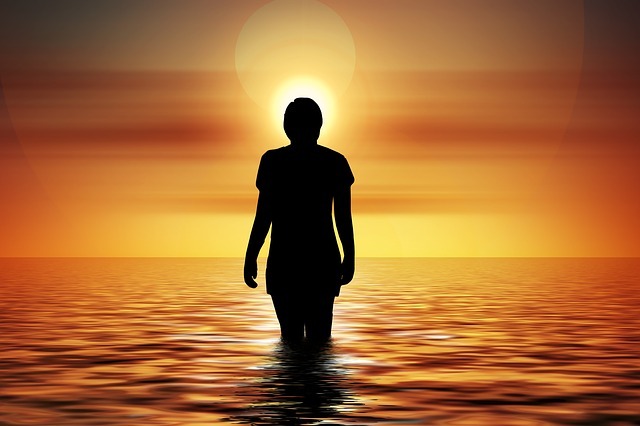 Although the single “Head Above Water” is about Lyme disease, anyone bedridden or housebound by chronic pain or illness can probably relate to it. 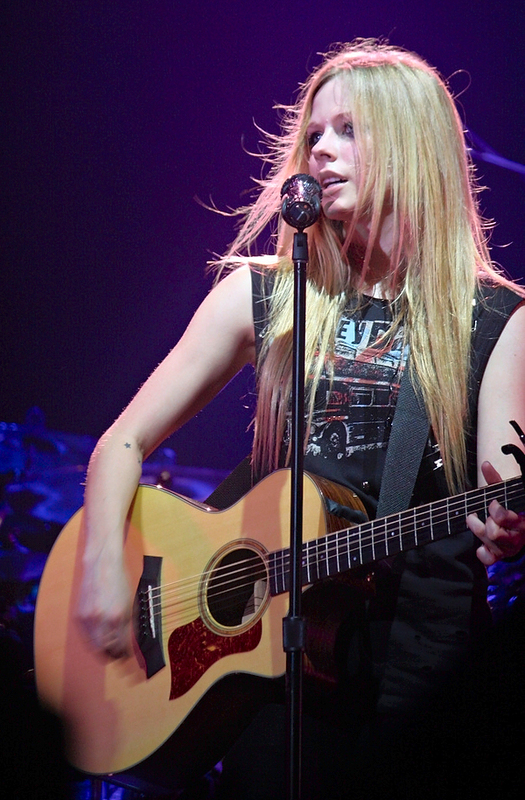 Lavigne went public about her battle with Lyme disease in 2015, but it was another two years before she was well enough to sit at a piano and started composing music again. 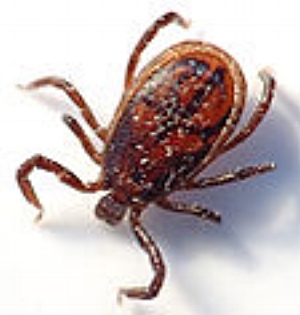 “I fought Lyme disease on antibiotics and herbs for two years. I tried to have a life, but was in bed the majority of the time, and it was very up and down with good days and bad days,” Lavigne explained. “Head Above Water” is the sixth album for the Canadian born singer, who has been nominated for eight Grammy Awards. Her single “Girlfriend” was the first music video to reach 100 million views on YouTube. Her foundation – the Avril Lavigne Foundation – raises awareness and supports people with Lyme disease and other chronic illnesses. Can Sugar Pills Relieve Chronic Pain? That is the actual headline in a news release issued this week by the Feinberg School of Medicine at Northwestern University. If you’re a pain sufferer and that doesn’t make you laugh or get your blood boiling – then the rest of this article probably will. In an age when many chronic pain patients are being urged to try yoga, meditation, acupuncture and plain old aspirin, Northwestern researchers have concluded that many could find pain relief in a sugar pill. That conclusion is based on a lengthy but small study of 63 patients with chronic back pain. Twenty patients were given no treatment, while the rest were given a placebo – a sugar pill that they were told was pain medication. No one was given an actual painkiller. Over the course of 8 weeks, participants tracked their pain on a smartphone app, MRI brain images were taken, and psychological profiles of each patient were made. The study, published in the journal Nature Communications, found that about half the patients who took the placebo had a 30 percent reduction in pain, a level considered just as effective as a real painkiller. Researchers said patients who responded to the sugar pills had a similar brain anatomy and psychological traits. The right side of their emotional brain was larger than the left, and they had a larger sensory area than people who did not respond to the placebo. The placebo responders also were more emotionally self-aware, sensitive to painful situations and mindful of their environment. “This is the first brain imaging RCT (randomized controlled trial) specifically designed to study chronic pain patients receiving placebo pills compared to a no treatment arm,” said senior study author A. Vania Apkarian, PhD, a professor of physiology at Northwestern University Feinberg School of Medicine. Although his study is small and needs to be replicated, Apkarian thinks doctors should put his findings to work. "Clinicians who are treating chronic pain patients should seriously consider that some will get as good a response to a sugar pill as any other drug," he said. "They should use it and see the outcome. This opens up a whole new field." Giving pain patients sugar pills would not only save healthcare costs, Apkarian says they would eliminate the risk of addiction and other side-effects from pharmaceutical drugs. "It's much better to give someone a non-active drug rather than an active drug and get the same result," Apkarian said. "Most pharmacological treatments have long-term adverse effects or addictive properties. 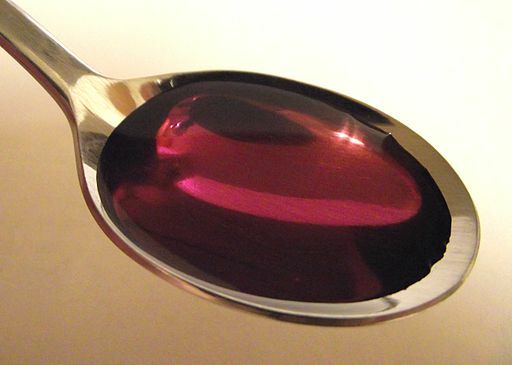 Placebo becomes as good an option for treatment as any drug we have on the market." Today, the gold standard of clinical trials is a “placebo-controlled study” in which some participants are given sugar pills and sham treatments. The medication or therapy being studied has to be found more effective than the placebo for the study to be considered a success. Time magazine recently published a cover story on placebos, sharing the stories of real patients who find relief in placebo pills even though they know they’re fake. You don’t need to enroll in a clinical study to take placebos. You can buy a bottle of Zeebo’s “honest placebo pills” for $14.95 on Amazon. Some of the reviews for Zeebo are hilarious. “I have not bought this product, but just reading about it brightened my day. And the comfort of knowing that if I ever needed a good placebo, its right here available with free shipping and two day delivery. I feel better already!” said one reviewer. The Centers for Disease Control and Prevention and other federal agencies have faced a fair amount of criticism over the years for adopting insensitive policies and guidelines that are often harmful to the pain community. But there are growing signs the CDC and other agencies are starting to listen to or at least better understand pain patients. Today the CDC released a new report estimating that 50 million Americans – just over 20 percent of the adult population – have chronic pain. About 20 million of them have “high-impact chronic pain” -- pain severe enough that it frequently limits life or work activities. The estimates are based on the 2016 National Health Interview Survey of over 33,000 adults. “Pain is a component of many chronic conditions, and chronic pain is emerging as a health concern on its own, with negative consequences to individual persons, their families, and society as a whole,” reported James Dahlhamer, PhD, of the CDC's Division of Health Interview Statistics. Dahlhamer and his colleagues found that women, unemployed older adults, adults living in poverty, rural residents and people without public health insurance are significantly more likely to have chronic pain, while the risk of pain is lower for people with a bachelor’s degree. Last week the National Institutes of Health (NIH) released its own research on high impact chronic pain (HICP), estimating that 11 million American adults have it -- about half the CDC’s estimate. Both the NIH and CDC are part of the Department of Health and Human Services (HHS). It was not immediately clear why the two estimates are so far apart – or why two government agencies in the same department were studying the same thing at the same time. 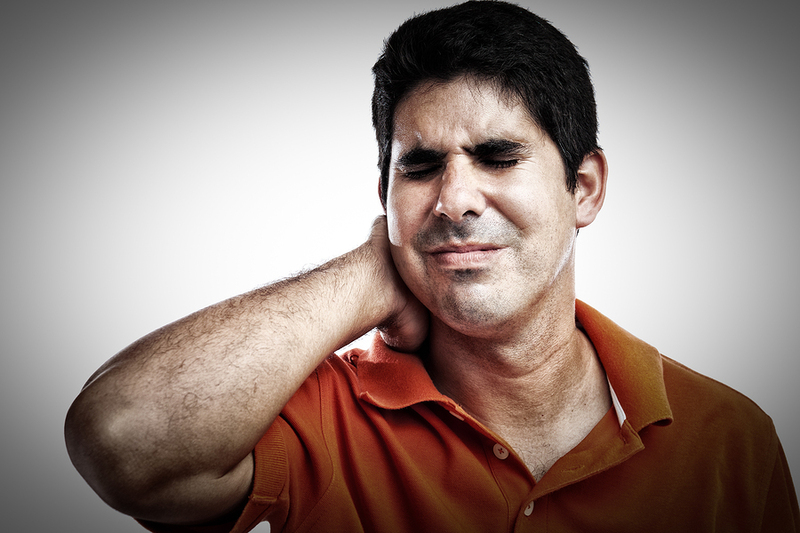 It’s certainly not the first time researchers have disagreed on the number of people in pain. In 2011, the Institute of Medicine released a landmark report claiming at least 100 million Americans have chronic pain, an estimate that one critic said was a “ridiculous number.” Other estimates range from 39 to 70 million. “The multidimensional nature of chronic pain is not reflected in commonly used operational definitions… resulting in inordinately high prevalence estimates that limit our ability to effectively address chronic pain on a national level,” said Mark Pitcher, PhD, a visiting fellow at the National Center for Complementary and Integrative Health (NCCIH). Like their counterparts at the CDC, NIH researchers found that socioeconomic factors play a significant role in high impact chronic pain. 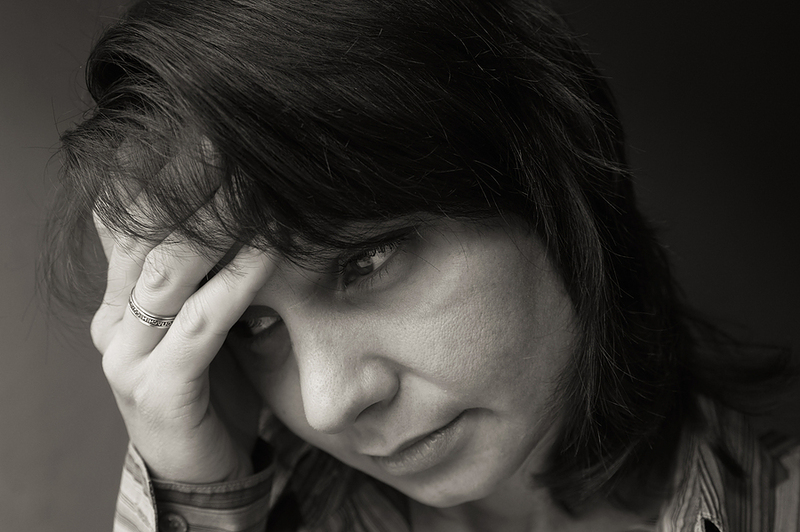 HICP sufferers not only have more severe pain, they are more likely to have mental and cognitive health issues, as well as substantially higher healthcare costs. About 83 percent of people with HICP are unable to work and one-third have difficulty with simple activities such as bathing and getting dressed. “By differentiating those with HICP, a condition that is associated with higher levels of anxiety, depression, fatigue, and cognitive difficulty, we hope to improve clinical research and practice,” said co-author M. Catherine Bushnell, PhD, scientific director at NCCIH. The concept of HICP was first proposed by the National Pain Strategy to better identify patients with pain severe enough to interfere with work and life activities. It also helps distinguish HICP from other types of chronic pain that are less impactful and more easily treated. “It is crucial that we fully understand how people’s lives are affected by chronic pain. It will help improve care for individuals living with chronic pain and strategically guide our research programs that aim to reduce the burden of pain at the population level,” said Linda Porter, PhD, director of the Office of Pain Policy at the National Institute of Neurological Disorders and Stroke. The Food and Drug Administration has also recently taken steps to better understand the chronic pain population. In July, the FDA held a day-long public hearing and heard from dozens of pain patients and advocates. Some fought back tears as they testified about the lack of access to opioid medication and the deteriorating quality of pain care in the U.S. The nation’s suicide rate has been climbing steadily for over a decade and so have the number of suicides associated with chronic pain, according to a groundbreaking study by researchers at the Centers for Disease Control and Prevention. The researchers looked at over 123,000 suicides in 18 states from 2003 to 2014 and found that about 10 percent of those who died either had chronic pain in their medical records or mentioned it in suicide notes. The percentage of suicides linked to pain grew from 7.4% in 2003 to 10.2% in 2014 – a 27 percent increase in just over a decade. “Our results highlight the importance of pain in quality of life and premature death, and contribute to the growing body of evidence indicating that chronic pain might be an important risk factor for suicide,” said lead author Emiko Petrosky, MD, CDC National Center for Injury Prevention and Control. The study, published in the Annals of Internal Medicine, is one of the first of its kind to explore the connection between pain and suicide – which is now the 10th leading cause of death in the United States. Nearly 45,000 Americans took their own lives in 2016, more than the number of poisoning deaths from illicit and prescription opioids. Back pain was the most common condition involved in pain suicides, followed by cancer pain, arthritis, migraine and fibromyalgia. Anxiety and depression were also more likely to be diagnosed in pain suicides than in those without pain. More than a quarter of the suicide victims with chronic pain (27.1%) had served in the military. Over half died from firearm injuries and 16.2% by opioid overdose. “Although opioid prescribing to treat chronic pain has increased in recent years, we found that the percentage of decedents with chronic pain who died by opioid overdose did not change over time. 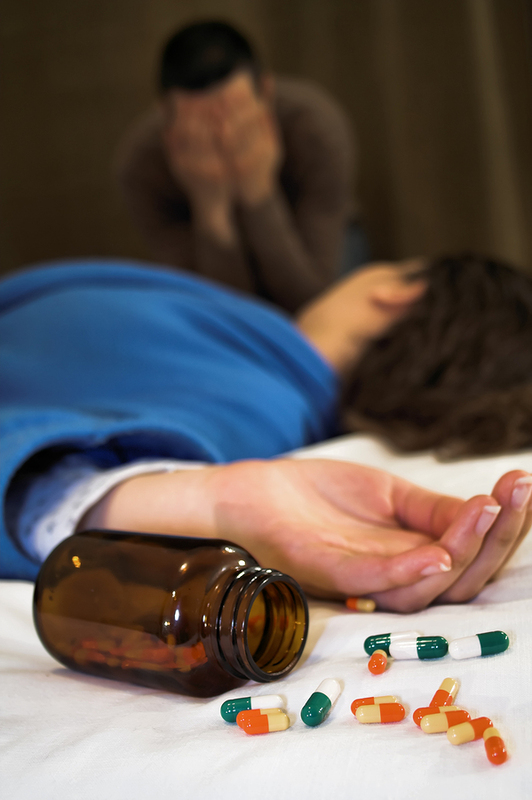 This finding suggests that increases in opioid availability are not associated with greater suicide risk from opioid overdose among patients with chronic pain.” Petrosky said. It’s worth noting that the 2003-2014 study period was before the CDC released its controversial guideline on opioid prescribing in 2016, a sea change event that many in the pain community blame for lack of access to opioid medication and growing number of patient suicides. “I can only speak for myself how the CDC guidelines and the FORCED reduction of my pain medicine has brought my life to a near standstill. I get up in the mornings now and I think 5 out of those 7 mornings I sit here and cry,” said another. “A few years ago I would've thought that the idea of deliberately driving people to suicide was a crazy conspiracy theory. Now I have almost no problem believing it,” wrote another reader. If you have chronic pain because of an accident, injury or assault, it could be because you have a genetic variation that makes you more likely to develop post-traumatic pain. That’s the key finding behind a new study published in the Journal of Neuroscience. Researchers at the University of North Carolina studied over 1,500 people who were admitted to emergency rooms for trauma after a motor vehicle collision. In addition to genotyping the patients, the researchers assessed their distress immediately after the accident, as well as their pain and post-traumatic stress symptoms six weeks later. Participants with a particular variant in the gene FKBP5 reported more severe pain and distress at follow up. FKBP5 is a critical regulator of the stress response and affects how we respond to environmental stimuli. Previous studies have shown that certain variants of the gene play a role in the development of neuropsychiatric disorders such as post-traumatic stress disorder, depression, suicide risk and aggressive behavior. UNC School of Medicine researchers were the first to show an association between FKBP5 and post-traumatic chronic pain. A 2013 study found that people with a particular variation of the gene are likely to experience more pain after exposure to trauma compared to people who don't have the variant. The new study by the same research group builds on that discovery by showing that the variation inhibits the regulation of cortisol, a stress hormone that sensitizes peripheral nerves. People with high levels of cortisol are likely to experience more pain. "In our current study, we showed that the reason this variant affects chronic pain outcomes is because it alters the ability of FKBP5 to be regulated by a microRNA called miR-320a," said lead author Sarah Linnstaedt, PhD, a professor of anesthesiology and an investigator in the UNC Institute for Trauma Recovery. "In other words, it does not negatively regulate FKBP5, thus causing FKBP5 to be over-expressed. High levels of FKBP5 can be detrimental because it alters natural feedback mechanisms that control circulating cortisol levels." Linnstaedt says the findings suggest there could be new therapeutic approaches to treating traumatic pain, such as medication that inhibits the activity of FKBP5 or gene editing that alters the variation. Funding for the UNC study was provided by the National Institute of Arthritis, Musculoskeletal, and Skin Diseases, The Mayday Fund, a Future Leaders in Pain Grant from The American Pain Society, and the National Human Genome Research Institute. Injections of botulinum toxin -- more widely known as the brand name Botox -- have long been used as a cosmetic treatment that reduces wrinkles by causing muscles under the skin to relax. British researchers say a modified version of that same neurotoxin could someday be used to treat chronic pain. In a study published in the journal Science Translational Medicine, scientists reported that they had deconstructed the botulinum molecule and reassembled it with a strong opioid called dermorphin to make "Derm-BOT" – a compound that blocks pain signals from neurons in the spinal cords of mice. “Injected into the spine, Derm-BOT relieves chronic pain – such as that caused by nerve damage – and avoids the adverse events of tolerance and addiction often associated with repeated opioid drug use,” said co-author Steve Hunt, PhD, a professor in cell and developmental biology at University College London (UCL). “It doesn’t affect muscles like the botulinum toxin used to reduce wrinkles but it does block nerve pain for up to four months without affecting normal pain responses. It really could revolutionize how chronic pain is treated if we can translate it into clinic." So far, Derm-BOT has only been used on laboratory mice, so don't expect it to be available for humans anytime soon. Over a five year period, 200 mice were treated with a single injection of either Derm-BOT, SP-BOT (another modified botulinum molecule) or morphine. The behavior of the mice was observed to track their response to pain. “Both SP-BOT and Derm-BOT have a long-lasting effect in both inflammatory and neuropathic pain model, successfully silencing neurons without cell death. We were impressed to see that one tiny injection was enough to stop chronic pain caused by inflammation and nerve damage for at least a month," said lead author Maria Maiarù, PhD, a research associate at UCL. “A single injection of Derm-BOT reduced mechanical hypersensitivity to the same extent as morphine." Previous studies in rats and dogs show that injections of tiny amounts of toxic substances into the spine kill neurons responsible for chronic pain. In contrast, scientists say Derm-BOT does not kill neurons, is safe to manufacture and non-toxic. And although it is partially made with an opioid, it is not addictive and doesn't cause respiratory depression. "Injected into the spine, Derm-BOT relieves chronic pain -- such as that caused by nerve damage -- and avoids the adverse events of tolerance and addiction often associated with repeated opioid drug use," Hunt said. Botox injections are already used to treat conditions such as migraines, neuropathic pain, and some allergies. But those injection are made into the skin and muscles, not directly into the spinal cord. If you have neck and shoulder pain and regularly use an iPad or tablet device, there’s a good chance the two are connected. Especially if you’re a young woman. A recent study of over 400 university students, alumni and staff found that 60 percent have persistent pain in the neck and upper shoulders – often caused by slouching or bending to watch their iPads or tablet computers. Over two-thirds (68%) said they experienced symptoms while using their tablets. "Such high prevalence of neck and shoulder symptoms, especially among the younger populations, presents a substantial burden to society," said lead author Szu-Ping Lee, PhD, a physical therapy professor at the University of Nevada Las Vegas. His study was published last week in the Journal of Physical Therapy Science. The top risk factor for “iPad neck” was surprising. Women were twice as likely as men to experience neck and shoulder pain during tablet use. “Our study revealed that females and individuals with current musculoskeletal symptoms were more likely to be at risk for neck and shoulder symptoms,” Lee wrote. The most frequently reported symptoms were stiffness, soreness or aching pain in the neck, upper back, shoulder, arms, hands or head. 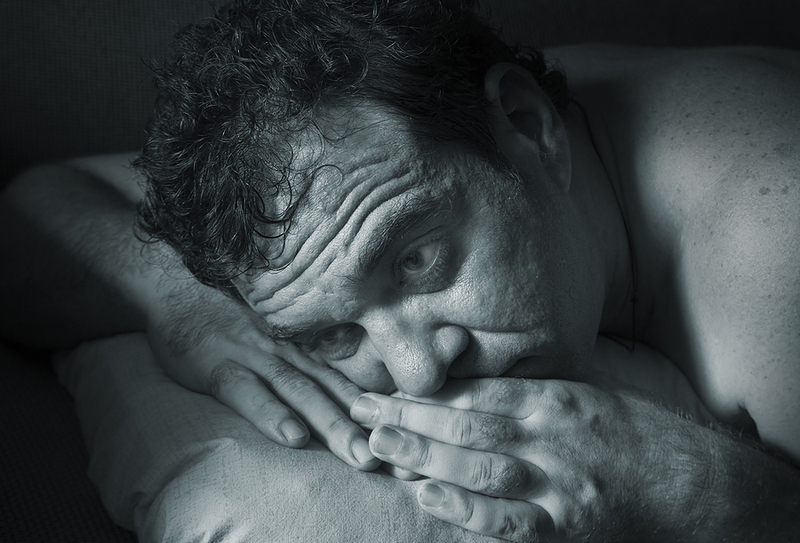 Most of those surveyed (55%) reported moderate discomfort, but 10 percent said their symptoms were severe and 15 percent said it affected their sleep. Less than half (46%) said they stopped using the devices when they felt discomfort. Lee says the findings concern him, especially given the growing popularity of tablets, e-book readers, and other devices for personal, school and business purposes. At PNN, we know that about 10 percent of our readers use iPads or tablets. Almost half of the tablet users surveyed use their devices for three or more hours each day. Flexing the neck forward for long periods of time puts pressure on your spine, causing neck and shoulder pain. Sedentary behavior and bad posture while reading are also contributing factors. Researchers say many students sit cross-legged on the floor when studying on their tablets. Interestingly, women were far more likely (77%) to use their tablets while sitting on the floor than men (23%). Sit in a chair with back support. Use a posture reminder device -- small, wearable devices that beep to alert you when you're slouching. Place your iPad on a stand (rather than a flat surface) and attach a keyboard to achieve a more upright posture. Exercise to strengthen your neck and shoulder muscles. "Using these electronic devices is becoming a part of our modern lives," Lee said. "In order to reduce the risk of developing long-term neck and shoulder problems, we need to think about how technology like tablet computer affects human ergonomics and posture." Patients and doctors have long complained that there are few new treatments for chronic pain. And those that do come along are often reformulations of old medications or have unwelcome side effects. Two developments this week suggest that trend may be changing. A new drug application has been submitted to the Food and Drug Administration for an “opioid of the future” that is less addictive, and research has uncovered a new way to treat neuropathic pain long term with a single injection. In experiments on laboratory mice, researchers at the University of California at San Diego discovered a new method to block the root cause of pain with the injection of a naturally occurring protein, apolipoprotein A-I binding protein (AIBP). AIBP “turns off” a receptor called TLR4 that sits on the surface of nerve cells and searches for signs of infection or tissue damage. Researchers say turning off the receptor prevents and even reverses inflammation and other cellular processes that create the sensation of pain. A single spinal injection of AIBP relieved neuropathic pain associated with chemotherapy in the mice for two months with no side effects, according to findings published in the journal Cell. “What’s so special about our new approach, inhibiting the TLR4 receptor with AIBP, is that it actually modifies the pain processing systems themselves," says study co-author Tony Yaksh, PhD, a professor and vice chair for research in the Department of Anesthesiology at UCSD School of Medicine. Neuropathic pain is a common side effect of chemotherapy treatments for cancer. Chemotherapy not only inhibits the growth of cancer cells, it can permanently damage nerve cells and make people sensitive to even the slightest touch. Opioids and other medications such as gabapentin (Neurontin) are commonly prescribed for neuropathy, but both have unwelcome side effects. “If it comes down to a choice between living with chronic pain or getting a spinal injection once every few months, we think most people would take the injection," said co-author Yury Miller, MD, a professor in the UCSD Department of Medicine. “As it stands now, AIBP could be developed as therapy for unremitting severe pain that only responds to high dose morphine. AIBP would remove the need for opioids, and reduce the potential for drug abuse. While AIBP is still in its experimental phase and could be years away from being available for treatment, Nektar Therapeutics’ so-called “opioid of the future” is one step closer to market. Nektar has completed over a dozen clinical trials on NKTR-181 and applied to the FDA for approval of the drug as a treatment for chronic low back pain. PNN has previously reported on NKTR-181, a new type of opioid that shows promise in relieving moderate to severe pain with less risk of abuse and addiction of traditional opioids like oxycodone or hydrocodone. Because of its slow rate of entry into the central nervous system, NKTR-181 significantly reduces the “high” or euphoric effect that recreational drug users crave. Many pain sufferers don't feel that high when taking opioid medication, they just get pain relief. In trials, NKTR-181 showed a 65% reduction in low back pain vs. placebo in tablets taken twice a day. Safety studies found recreational drug users had significantly less “drug liking” of NKTR-181 -- even at high doses -- when compared to oxycodone. Participants also had less daytime sleepiness and fewer withdrawal symptoms. If it receives FDA approval, Nektar hopes to launch the drug commercially as early as next year. The company has yet to announce a partnership with a larger pharmaceutical company to help produce and commercialize NKTR-181 -- which is when the no-name "opioid of the future" will get a makeover with a branded name to make it more marketable. An unusual study involving rats, depression and chronic pain is making headlines – the latest in a long line of flawed research studies being used to debunk the effectiveness of opioid pain medication. “NIH study suggests opioid therapy not effective against chronic pain,” is the headline in UPI. “Pain-induced changes in the brain explain the limited effectiveness of opioid therapy,” is how the Tech Explorist put it. At issue is a small study by the National Institutes of Health (NIH) and McGill University in Montreal on pain-induced changes in 17 laboratory rats. That's right, 17 rats. The study findings, published in the journal Pain, concluded that chronic pain reduced the number of opioid receptors – the molecules that opioids bind to -- in the rats’ brains. In theory at least, that would make the rats less responsive to opioid pain medication. Note that the research did not include any people, the rats were not given any opioids, and the effectiveness of opioids wasn't even measured in the rats. But that didn’t stop the NIH from drawing some sweeping conclusions. 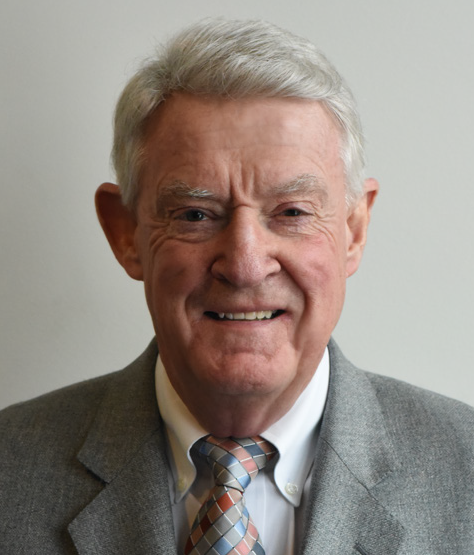 “These results provide insights into why we see limited effectiveness of opioid therapy in chronic pain and the mechanism of the depression that may accompany it,” said David Shurtleff, PhD, acting director at the National Center for Complementary and Integrative Health (NCCIH). McGill University was more cautious, saying further studies were needed in humans to confirm the study findings. Researchers have many theories about the origins and treatment of chronic pain, but conducting tests on humans to prove them is problematic. Laboratory animals are often used as an imperfect substitute. In the NIH/McGill study, 17 rats had brain surgeries to produce a nerve injury that causes chronic pain, while another group of rats had sham surgeries (a similar procedure that did not cause chronic pain). Three months later, PET scan imaging showed opioid receptors had decreased in multiple regions of the brain in the nerve-injured rats, but no changes occurred in the sham-surgery rats. These results suggest that pain itself, not treatment or pre-existing trauma, altered the brain’s opioid system. Other tests showed a weaker link between chronic pain and depression in the nerve-injured rats. How did researchers determine the rats were depressed? When given a choice, healthy rats will normally drink water sweetened with sugar rather than plain water. But animals with a decreased ability to experience pleasure, a recognized symptom of depression, may not. The rats in the study with chronic pain showed a decreased preference for sugar water over plain water, while rats in the sham group still showed a preference for sweetened water. This, the researchers believe, was enough evidence to conclude the nerve-injured rates were depressed. While intriguing, the results of this rat study are far from definitive and do not prove that opioids are an ineffective treatment for chronic pain in people. What they do show is that we need more and better research about opioids and chronic pain, not more misleading headlines and statements from the NIH. The book “Chasing Men on Fire: The Story of the Search for a Pain Gene” by Yale University neuroscientist Stephen Waxman, MD, describes the hunt to understand and treat a rare neuropathic disorder called erythromelalgia – also known as burning man syndrome. Inherited erythromelalgia is a rare painful neuropathy that causes severe burning pain and skin redness. Attacks are periodic and commonly triggered by heat, pressure, mild activity, exertion, insomnia or stress. The burning pain occurs in small fiber sensory nerves. The book includes 13 research papers by Waxman and his team that illustrate the the process of discovering that the gene SCN9A is responsible for erythromelalgia, as well as idiopathic small fiber neuropathy. Waxman shows considerable understanding of the plight of people with these disorders. “Since their neurological examinations were often normal, the complaints of patients with small fiber neuropathy -- which occurred without physical signs of disease of the nervous system that can be seen by the physician -- were, in the past, often dismissed as being of little consequence, or as having a psychological origin,” he wrote. But the disorders are genetic. And understanding them has wide-ranging potential value. These mutations, once identified in families with rare inherited diseases, can teach us important lessons about other medical conditions. Waxman cites the famous example of familial hypercholesterolemia, a rare metabolic dysfunction whose understanding led to the development of statin drugs. Eventually, Waxman was able to show that one change in the genetic code for this gene was responsible. In other words, erythromelalgia and inherited small fiber neuropathy are the result of genetic mutations – debunking the theory that patients with these disorders have psychological issues. “Surprisingly, despite their history of chronic pain, on psychological testing we found that only two subjects displayed signs of moderate anxiety and depression,” Waxman explains. Rigorous clinical testing confirmed these ideas. Waxman and his team began by doing human studies on erythromelalgia, then moved on to small fiber neuropathy in 2010. They found evidence that genetic mutations may contribute to disorders of pain signaling. Understanding the exact pathophysiology of these painful neuropathies opens the door to new and more effective treatments. “Identification of specific molecules that play key roles in axonal injury might provide a basis for therapies that would prevent, or slow, the degeneration of axons, thus halting or slowing the progression of peripheral neuropathy,” Waxman wrote. The first drug tried was the sodium channel blocker carbamazepine. Pre-clinical studies in people confirmed that it does have a protective effect. Additional work using a research drug nicknamed “771” shows similar promise. Research into leveraging this hard-won knowledge is ongoing. This work could ultimately lead to new treatments for a wide range of neuropathic disorders, including trigeminal neuralgia, diabetic neuropathy, and phantom limb pain. The book “Chasing Men on Fire” amply illustrates the challenges of medical research and the importance of even seemingly small genetic variations in chronic neuropathic disorders. And it reminds us that rare disorders often provide invaluable insight into human disease and dysfunction that can benefit us all.